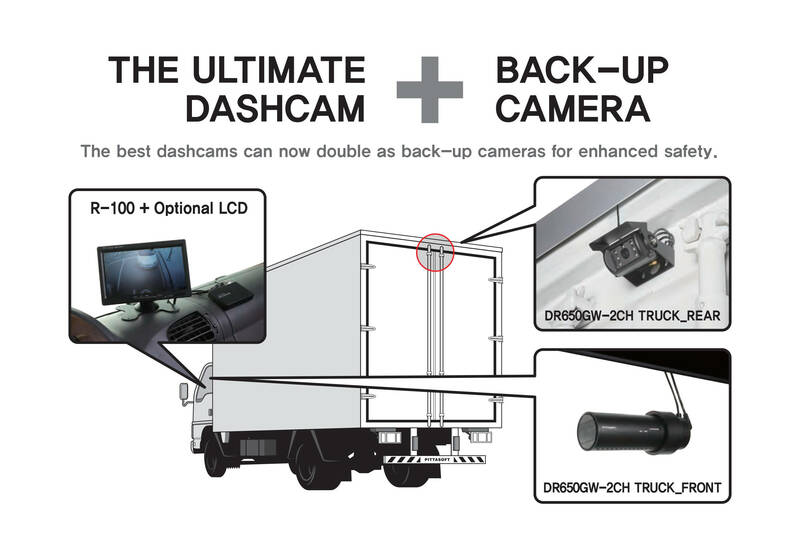 Take full advantage of your BlackVue DR650GW-2CH/2CH TRUCK dashcam’s crystal-clear image quality by adding a back-up camera function. 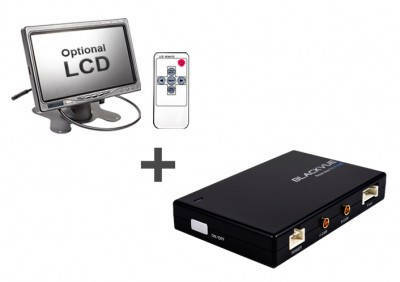 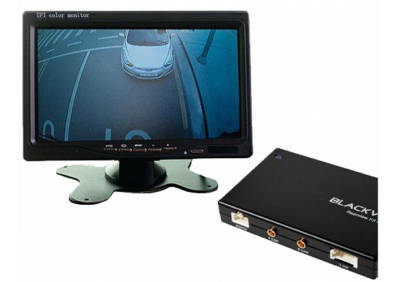 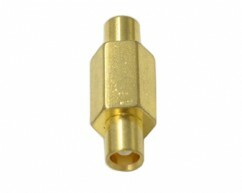 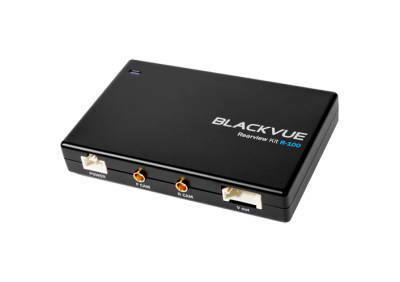 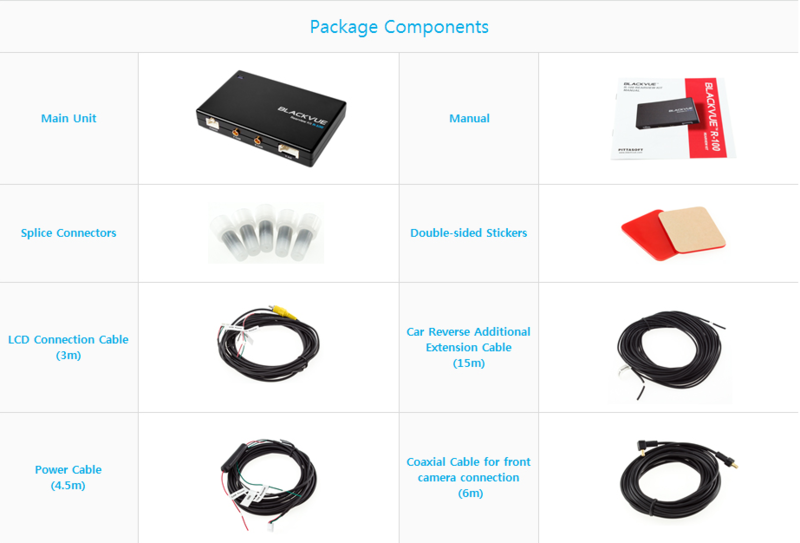 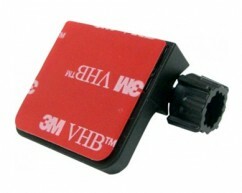 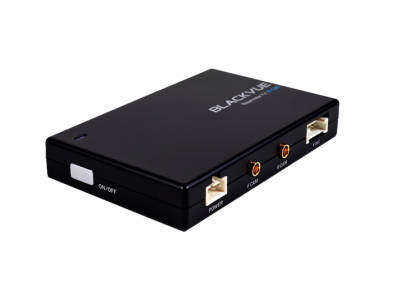 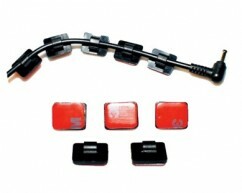 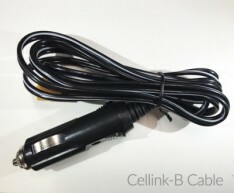 Compatible with BlackVue DR650GW-2CH /2CH TRUCK. 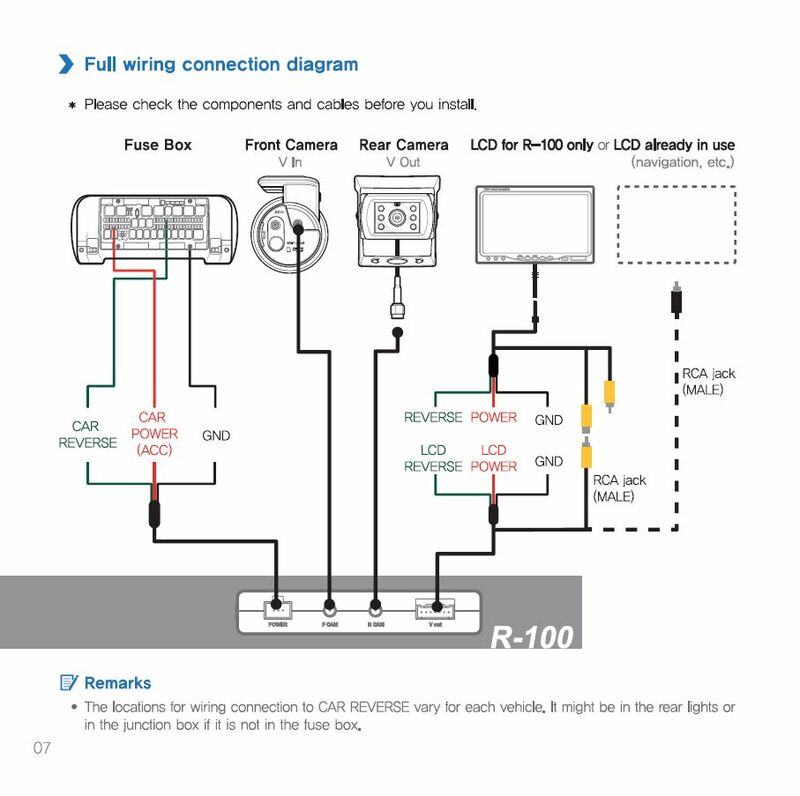 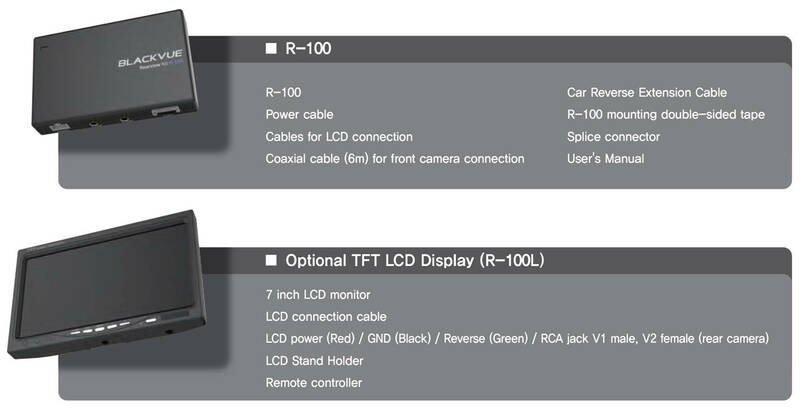 LCD : any LCD with V-in connection available / Optional 800×480 Wide 7inch TFT LCD display. 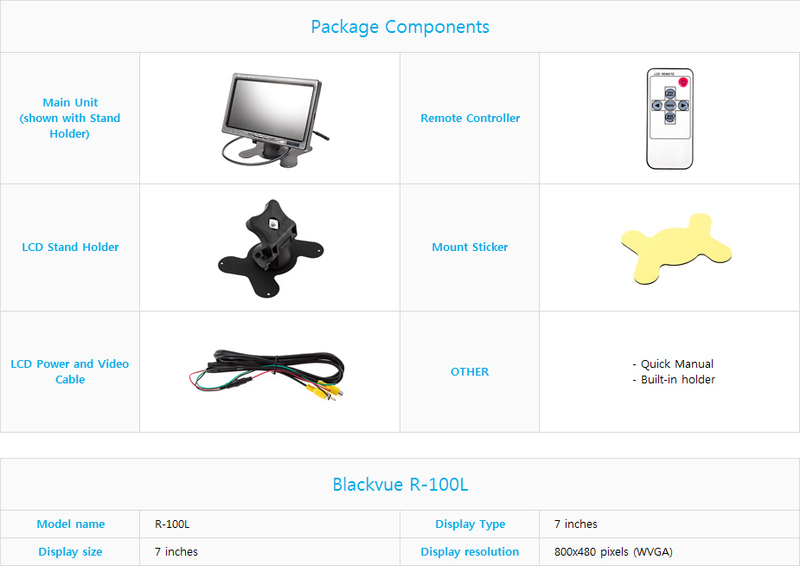 The BlackVue Rear View Kit (R-100) is the ideal companion to your DR650GW-2CH / DR650GW-2CH TRUCK dashcam, streaming your rear camera’s footage in real time on your vehicle’s LCD display or the optional 7”TFT LCD display (R-100L), without the need for a dedicated back-up camera.